It can gives you the liberty to enjoy movies in the leisure of your own home. 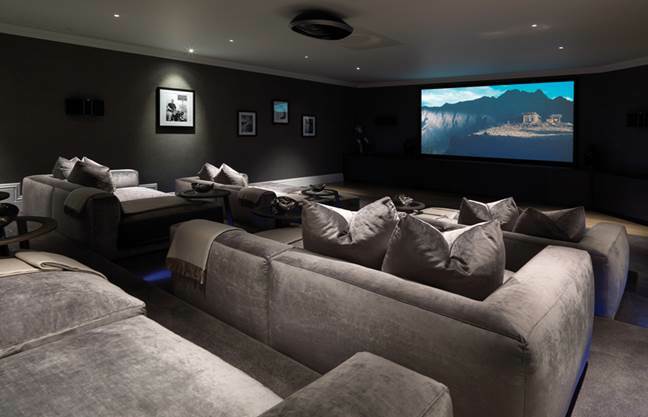 One could rewind and watch their favourite scenes in a private cinema. It is a great way to entertain guests too. But why should upholsteries or sofas be kept neat and tidy all the time? Just thinking of these dust mites living in your cushions by the millions, eating your dead skin and hair is enough to make most people want to do anything they can to cure the problem. Dust mites in upholstery , sofa are a major cause of asthma and allergies; especially in vulnerable individuals, such as children and the elderly. And with dust mites at their multiplying peak during warm, wet weather, read on to find out what you can do about dust mites! A typical used sofa may have anywhere from 100,000 to 10 million mites inside. (Ten percent of the weight of a two year old pillow can be composed of dead mites and their droppings.) Mites prefer warm, moist surroundings such as the inside of a sofa when someone is on it. A favorite food is dander (both human and animal skin flakes). Humans shed about 1/5 ounce of dander (dead skin) each week. Also, upholstery wall and household upholstery support high mite populations. T&T Home Detailed Cleaning Center provides expert dust mites allergens removal with hospital grade disinfectant equipments and our highly skilled Professional Cleaners.